Congratulations to Maryland Governor Robert Ehrlich, left, for getting the Intercounty Connector (ICC) approved. The much needed project has been languishing for decades. Governor Ehrlich announced federal approval of the project today and construction is expected to begin this Fall. The $2.4 billion ICC is an 18-mile east-west highway linking I-270 in eastern Montgomery County to I-95/US 1 corridors in northwestern Prince George's County. The Washington Metropolitan Area is finally starting to catch up on its transportation infrastructure needs. Now if we can get the subway system linked around the I-495 Beltway and an outer beltway, this region will be second to none and travel times will put families together faster. The approval by the Federal Highway Administration was granted following extensive review of the project’s environmental impact study and public comments. AAEA presented testimony at one of the hearings. The Federal Highway Administration approved the State’s preferred alternative, Corridor 1, which is a six-lane controlled-access highway that is the southern of the two proposed corridors. The House passed a bill to drill for oil in the Arctic National Wildlife Reserve (ANWR) by a vote of 225 to 201 on May 24. The American-Made Energy and Good Jobs Act (H.R. 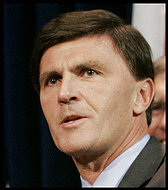 5429) was introduced by House Resources Committee Chairman Richard W. Pombo (R-Calif.). The legislation is expected to die in the Senate. Although we do not believe a wall would be environmentally damaging to flora, fauna or folk, it just has that negative image of the Berlin Wall. We need a standardized process for all immigrants and we should stick to it. If Mexicans are just coming to America to make some money, then maybe President Bush's 'Guest Worker' proposal will work. If they want to live here permanently, then they should get in line. No amnesty for illegals though. 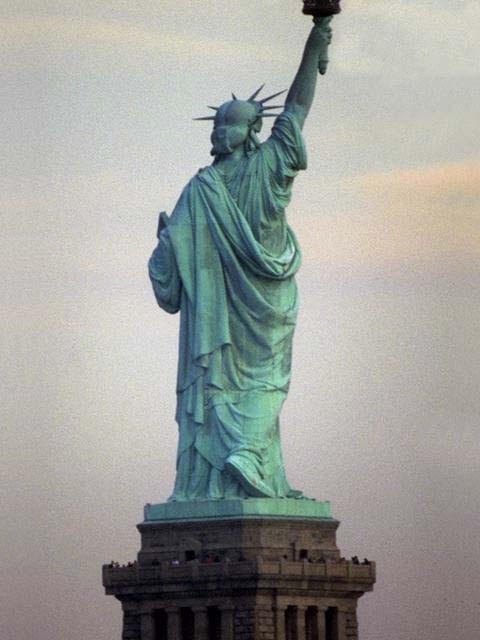 If they do not learn to speak English and reside here illegally, they will never get ahead. Although some want to pit blacks and Latinos against each other for low-end jobs, such positions should not be an ultimate goal. The Senate just passed immigration legislation. Now the House needs to help solve this problem before the elections recess. Let's put a Statue of Liberty on the U.S./Mexico border and huge processing facilities to manage legal immigration and guest workers. Mexican Americans and Mexicans are vital to our vibrant sustainable economy. In order to maximize the environmental benefits of their pursuits of the American and Mexican dreams, we need a predictable process that will be positive for everyone. Does anyone know why NAFTA didn't solve this problem? AAEA supports the war because we believe it will ultimately lead to an improved environment in Iraq and the Middle East. 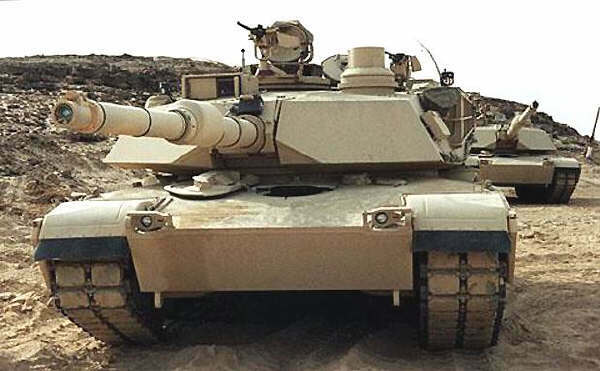 Notwithstanding the faulty intelligence that got us into the war, we understand the post 911 need to communicate to the rest of the world, particularly totalitarian regimes and hosts to terrorists (including our ally Saudi Arabia), that the U.S. will not tolerate attacks on our homeland. Evil doers everywhere are not safe if the U.S. is attacked anywhere. Will there be mistakes? Yes. Will Iraq prosper if insurgents are defeated and democratic capitalism is allowed to flourish? Yes. As President Bush says, "Democracies do not attack each other." A stable Iraq will benefit the entire Middle East. Unfortunately, war, like race relations, is just another one of those issues that is probably beyond our human capability to solve. Thus, we are left to do the best we can. Hitler had to be fought. No doubt about it. Yet war is environmentally destructive by its very nature. We are probably as hypocritical as many politicians on the issue of war. However, we reject the notion of supporting the troops but opposing the war. That is disingenuous. If you oppose the war then oppose our men and women fighting there. Straddling the fence is a spineless cop out. Yet from a purely environmental standpoint, war is environmentally damaging. We must do everything we can to prevent it because it is insanity. But just as we were pulled into the insanity of World War II, we prevailed in Germany and Japan and assisted them after the war. We believe the U.S. has the best intentions for the Iraqi people and will do everything in our power to assist them in achieving peace and prosperity. Hopefully, the end result will be a highly efficient and sustanable environment. War, like disease and death, is from the Devil. We simply have to do the best we can while living in his world. 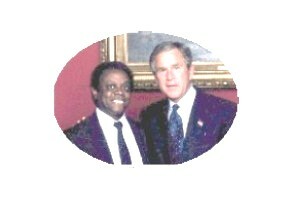 We wish President Bush good luck as he does the best that he humanly can to address terrorism. Having reaped what we hope you sowed, you cannot let down or your good works will be overrun by the relentless march of weeds and clover. Although clover is an excellent nitrogen reforming natural fertilizer, it will also take over if left unchecked. 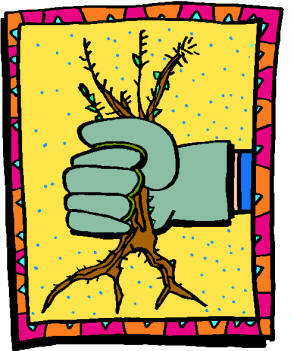 Its root network makes it a constant interloper, so remember to pull the root as much as possible. The pulled weeds also make a good natural fertilizer for the trees. 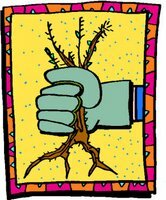 And after building up a foot or two of discarded weeds and grass, it takes less decorative mulch to provide adequate nutrition around the base of the tree. Don't forget to apply some limestone (calcium carbonate) sometime before adding the decorative mulch. AAEA has been aware of Karen Bowlding, left, and her environmental work for twenty years and now she has inked a new book that could help in solving one of the black community's most serious problems: the breakdown of the nuclear family unit. The results of this breakdown are apparent and have exponentially increased the environmental damage from a much more volatile dysfunctional tenth in our community. 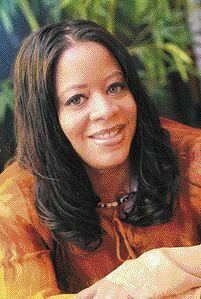 Mrs. Bowlding's book, ‘‘Living in Autumn While Preparing for Spring: The Journey Towards Marriage,” is featured in the Prince Georges Gazette. Read the book. Get married. Raise children. Work hard. Improve our community. President Bush outlined his very aggressive programs to address global warming and energy issues today at a nuke plant in Pennsylvania. Although this president does not get credit from the mainstream media and the traditional environmental groups, he is blazing an innovative energy and environmental trail that is second to none. AAEA is excited to be involved in these history making programs. We are also amazed that our colleagues in the movement and the biased critics in the media are on the wrong side of history regarding 21st Century energy and environmental issues. President Bush reiterated his revolutionary energy and environmental agenda, The Advanced Energy Initiative, at the Limerick Generating Station in Pottstown, Pennsylvania. It is also interesting that while former Vice President Al Gore is making movies about climate change, he never convinced his boss in 8 years to come close to proposing the visionary policies and programs being promoted by the Bush adminstration. President Bush's Global Nuclear Energy Partnership (GNEP) proposes to expand the use of nuclear energy by developing a worldwide consensus on using this emission-free technology to meet growing electricity demand. It will achieve this objective by having nations with secure nuclear capabilities to provide potential partner nations with nuclear facilities, fresh fuel and recovery of used fuel for recycling. 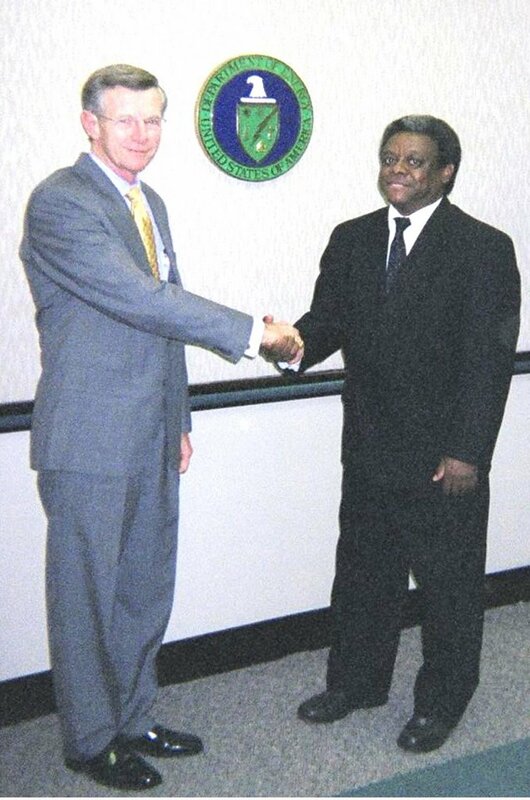 AAEA Preaident Norris McDonald recently met with Dennis R. Spurgeon (left), Assistant Secretary for Nuclear Energy at the U.S. Department of Energy (DOE) in Washington DC. The two-hour meeting included other environmental groups: Greenpeace, NRDC, Public Citizen, Union of Concerned Scientists and others. Assistant Secretary Spurgeon appeared to thoroughly enjoy the sometimes spirited discussion. AAEA was the only group supporting the program, which led to some interesting exchanges with our recalcitrant enviro colleagues. half of the $250 million requested by the Bush administration. Update: 8-3-06 DOE announced $20 million to conduct detailed siting studies for public or commercial entities interested in hosting the Global Nuclear Energy Partnership facilities. Entities may qualify to receive up to $5 million per site. AAEA was the only environmental group in the U.S. to support the 12-Lane Woodrow Wilson bridge replacement. AAEA organized community support, generated publicity, and testified at environmental impact statement (EIS) hearings to assure construction of the new bridge. DOT Secratary Mineta, Governors Ehrlich and Kaine, Senator Warner, numerous congressmen, Mayor Williams and several hundred members of the community turned out for the dedication. The Blue Angels flew by and security was very tight on and below the bridge. At least 1 % of the nation's trucked gross national product (GNP) crosses the Woodrow Wilson Bridge. The twice per day bumper-to-bumper bottlenecks increase air pollution, reduce parental time with children, and inhibit efficient business activities. 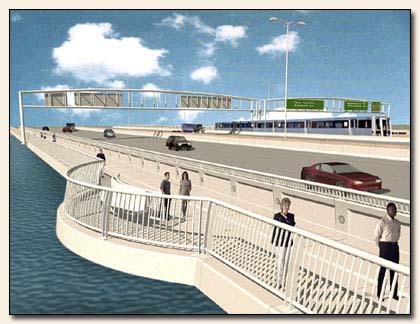 Fortunately, the bridge is designed to handle mass transit, interstate and local traffic, pedestrian and bike lanes. Combined with the improvements at the Springfield "Mixing Bowl," the congestion should be significantly relieved. Just as CBS and Dan Rather tipped their partisan hand during the last presidential election, The Washingon Post clearly has a biased agenda to paint President Bush as 'weakening clean air laws and regulations' when this president has proposed and passed some of the most visionary clean air initiatives in history. President Bush's Clear Skies Initiative would have cleaned the air more than the last quarter century of litigation to try to stuff 'command and control' compliance down the stacks of the utilities. The Energy Policy Act of 2005 will hopefully reinvigorate the nuclear industry, which will be a pure technological clean air mechanism. 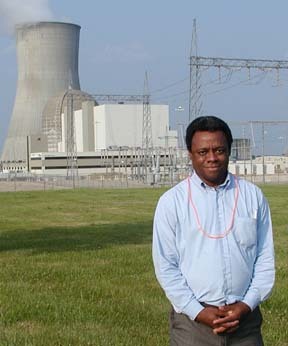 Nuclear power plants are an emission free source of electricity production. We wish The Washington Post would report the news instead of fashioning news according to its own view, which appears to be overly influenced by partisan, mainstream environmental groups. 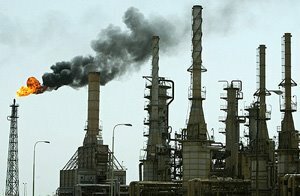 The most recent example of this is a quote from an article today entitled, Justices to Hear Environmental Appeal on EPA Emissions Rule: "Lightening the industry's environmental load was a key component of the administration policy adopted by Vice President Cheney's energy task force in 2001." The decades-in-and-decades-out litigation dance of the mainstream environmental groups against EPA and EPA against the utilites does not lead to technological retrofits. It simply leads to more litigation, which does nothing to clean the air. The appeal by Environmental Defense will be heard by the Supreme Court and they might prevail in their insistence on implementing the ineffective New Source Review air regulation, but it will not lead to clean air. And this is ashamed since the Clear Skies Initiative was based on emissions trading concepts developed by Environmental Defense. In a headline entitled, "The Greening of Nuclear Power," The New York Times states on its Editorial Page that "Suddenly nuclear is looking better. Nuclear power has a good safety record in this country...there is no doubt that nuclear power could serve as a useful bridge to even greener sources of energy." WOW. And to think that just five short years ago AAEA was the lone nonnuclear group in the U.S. supporting nuclear power. Of course, the NYT somehow failed to mention this fact and that AAEA is still the only environmental group in the U.S. currently supporting nuclear power. Sigh. 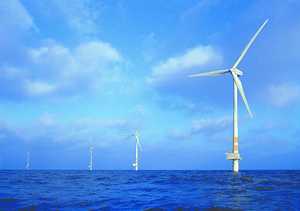 The Houston-based Superior Renewable Energy, LLC (SRE) has been approved by the Texas General Land Office to build over 100 wind turbines from 3 to 8 miles off the Texas coast in the Gulf of Mexico. SRE plans to build approximately 500 megawatts of capacity, which is enough electricity for 500, 000 homes. SRE will pay Texas an initial fee of $80,000 and 4 percent of revenues for 20 years and 5 percent thereafter as royalties. Texas waters extend out 8 miles due to a special law while state waters usually extend out 3 miles. SRE has already completed construction of the 50 megawatt Kumeyaay Wind Power Project in San Diego, California and is about to complete a 90 megawatt project in New Mexico. It is estimated that the Texas project will prevent the following emissions: 9 million pounds of sulfur dioxide, 4 million pounds of nitrogen oxide and 1.8 billion pounds of carbon dioxide. New York Assemblyman Richard Brodsky has given up his quest to be attorney general in order to donate a kidney to his ailing 14-year old daughter, Willie. We have battled with Asssemblyman Brodsky on energy and environmental issues in New York but we admire his dedication to his family. He has also promoted environmental justice legislation in the New York legislature. Willie suffers from an autoimmune disease and received her first donor kidney from her mom, Paige in 1995. Our prayers are with you and your daughter Richard. We do not like the ozone friendly inhalers because they just do not spray fast or forcefully enough and that is unacceptable for an acute asthma attack. AAEA President Norris McDonald tried it and did not like it. The Food & Drug Administration has set the end of 2008 as the deadline for phasing out inhalers that use the ozone-depleting chlorofluorocarbon (CFC) propellant gas. The non-CFC inhaler will also be more expensive and could pose a burden on low-income people. If only we could figure out how to transfer the ozone in smog from ground level to the stratosphere. Inhalers account for less than one percent of CFC use. CFC use is being ended in accordance with the Montreal Protocol, a global treaty intended to save the upper atmosphere's ozone layer, which protects humans and the Earth from cancer-causing ultraviolet rays from the Sun. The main suppliers of asthma inhalers are: GlaxoSmith-Kline (Ventolin brand), Schering-Plough (Proventil & Warrick generic brand - - pictured above). 3M will manufacturer the new ozone friendly inhalers for Schering-Plough. Armstrong Pharmaceuticals and Ivax (recently acquired by Teva Pharmaceutical Indistries) also produce inhalers. Why is AAEA enthusiastically included when out front early and aggressively on important projects that have environmental and energy considerations but ignored and excluded when late-stage publicity and promotional events are held to highlight the projects? For instance, AAEA testified at the Federal Energy Regulatory Commission (FERC) hearing at the Massachusetts Institute of Technology (MIT) in Boston in 2004 on the Cape Wind Energy Project being proposed for Nantucket Sound, but when the Cape Wind folk came to the National Press Club on April 20 with numerous environmental group speakers and 55 coalition members, AAEA was not included. None of these groups stepped up to support the project at the FERC hearing or early in the process. AAEA even met with the Cape Wind company at their headquarters and we were quoted in the Boston Herald. Our exclusion does not affect our support for the project. It is a great emission free source of electricity if it can withstand the assaults by the Kennedys and other opponents in Congress. AAEA was also the ONLY environmental group in the country to support the Woodrow Wilson Bridge replacement. The first 6-lane span will be dedicated on May 18th. We already know we will not be recognized because we have not been credited to date, even though the project issues periodic newsletters that include environmental articles. AAEA organized community support, generated publicity in the media, and testified at environmental impact statement (EIS) hearings to assure construction of the 12-Lane Woodrow Wilson replacement. At least 1 % of the nation's trucked gross national product (GNP) crosses the Woodrow Wilson Bridge. Again, enthusiasm for our early support and completely ignored now. And just above the bridge replacement is the $2 billion National Harbor Projrect. The Sierra Club vilified us and publicly challenged our credibility because of our support for the project before they eventually decided to support it at the 11th hour. Their litigation almost derailed the project. Now they get quoted in the newspapers and at events about the project while you would never know that AAEA was the principle environmental group supporting the project. Bolivian President Evo Morales, left, nationalized his country's oil and gas reserves in a May Day surprise last week. Bolivia has gone back and forth between privatization and nationalization for decades, but the country has neither the capital nor the expertise to operate Yacimientos Petroliferos Fiscales Bolivianos (YPFB) without foreign help. Of course, Venezuelan President Hugo Chavez, right, supports the nationalization by Bolivia and has pledged financial and technical support. Brazil, Spain and France have poured $4 billion into Bolivian gas production and are livid. All investements from these countries have been suspended. Natural gas is the main hydrocarbon produced by Bolivia and its difficult transport could make it hard to market without foreign cooperation. Natural gas is also available from many countries. 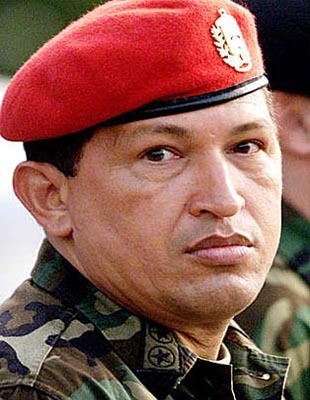 Chavez plans to raise $1 billion in revenue per year by imposing a new tax on companies extracting oil from Venezuela. Companies affected include Exxon Mobil Corp, Chevron Corp, ConocoPhillips, Total, BP PLC and Norway's Statoil ASA. 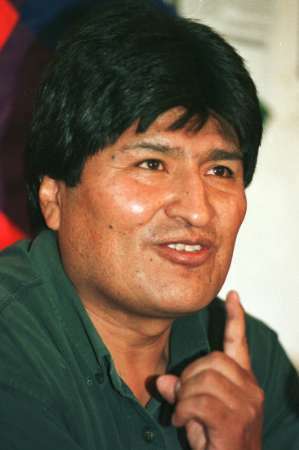 Chavez and Morales believe the oil companies have been exploiting their countries' vast oil and gas reserves. Of course, they could not have developed these resources without the big oil companies. The U.S. gets about 15 percent of its oil imports from Venezuela. Our condolences to his family. 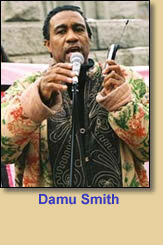 Damu was an environmentalist hero among many other causes he championed. It was a little over a year ago when he was diagnosed with colon cancer. The Washington Times reported today that the Bureau for Global Health for the U.S. Agency for International Development (USAID) wants to aggressively use DDT and other insecticides to reduce deaths from malaria in Africa. AAEA has supported the use of DDT and other pesticides to reduce these deaths for years. It is good to know the current administration is stepping up its attack in this area. The President's Malaria Initiative (PMI) has already dedicated $1.2 billion to reduce malaria deaths by 50 percent in 15 African countries by 2010. Many of these programs involve indoor spraying. 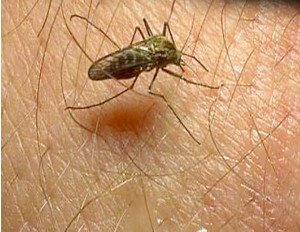 AAEA advocates widespread outdoor spraying to eliminate the malaria carrying mosquito by using DDT just as it was eliminated in the U.S. Then suspend spraying. We are even taking the Bald Eagle off of the Endangered Species List here. AAEA, like USAID, also supports using a rotational mix of pesticides in addition to DDT because mosquitoes can become resistant. USAID plans to utilize DDT in Mozambique, Ethiopia and Zambia. South Africa has used DDT effectively in the eastern part of the country. The PMI is using pesticides other than DDT in Uganda, Angola and Tanzania. Hopefully Uganda will lift its ban on DDT. Namibia should also utilize the pesticide to eliminate malarial deaths. Mainstream environmental organization place more value on animal life than human lives in Africa regarding malaria and the 2001 Stockholm Convention on Persistent Organic Pollutants ratified by 122 nations calls for elimination of DDT. On May 5, an EPA final action will take effect that will provide U.S. oil refiners with more flexibility in refining operations. program. As required by the Energy Policy Act of 2005, EPA is removing the reformulated gasoline (RFG) two-percent oxygen content requirement that reduces production burdens. RFG is made up of many components to ensure low vehicle emissions. Although oxygenates can be used to produce RFG, other gasoline components can be used to ensure that RFG continues to meet its clean air requirements. This removal of the two-percent oxygen requirement takes immediate effect on May 5 with its publication in the Federal Register. RFG is required by the Clean Air Act in large metropolitan areas with the greatest ozone pollution, but other areas may choose to use RFG to take advantage of its clean air benefits. Seventy-five million Americans across 17 states and the District of Columbia breathe cleaner air as a result of the program. EPA estimates that RFG reduces emissions of ozone-forming pollutants by 105,000 tons per year, the equivalent of eliminating the ozone pollution from 16 million cars. RFG also reduces toxic pollutants by about 24,000 tons per year, the equivalent of eliminating the toxic emissions from over 13 millionvehicles. The same blue states are suing again. This time it is to force the Bush administration to raise fuel economy standards for sport utility vehicles (SUVs) and other light trucks (SUVs are classfied as light trucks). Actually, President Bush already raised fuel economy standards for light trucks from the current 21.6 miles per gallon to 24.1 mpg by 2011 in annual steps. We hate litigation at AAEA because it rarely leads to environmental improvements. We believe President Bush's tradable CAFE credits idea would be much more effective in improving fuel economy. The administration is also closing a loophole that provided an exemption for the largest SUVs like the Hummer H2 and others over 6,000 pounds. Litigants believe the administration analysis did not adequately consider the benefits of Corporate Average Fuel Economy (CAFE) on the environment, gasoline consumption and global warming. California is the lead plaintiff. California passed a law in 2002 mandating reductions in carbon dioxide "emissions" beginning with model year 2009 for new cars and trucks sold in the state. It is the equivalent of a fuel economy program. Automakers filed a lawsuit to block California's new greenhouse gas regulation. The litigating states include: 1) California, 2) New York 3) Connecticut, 4) Main, 5) Massachusetts, 6) New Jersey, 7) New Mexico, 8) Oregon, 9) Rhode Island, 10) Vermont and the District of Columbia. May 1st is World Asthma Day and May is World Asthma Month. Asthma programs that address environmental triggers work best when closely connected to front-line health care providers and local communities, according to an international study of over 400 asthma programs. The U.S. EPA funded the $700,000 three-year study completed by the University of Michigan School of Public Health. The study, called the Asthma Health Outcomes Project, found that the asthma programs used a variety of approaches, such as educating healthcare providers or intensive home visits with follow-up support to families, to address environmental triggers that make asthma worse. Kofi Annan Rewards Enviro Benefactor? Achim Steiner was a judge on the Zayed Prize for Global Environmental Leadership panel that awarded Annan $500,000 in 2005. Steiner was just named to head the U.N. Environmental Program. Of course the U.N. denies a quid pro quo. The Zayed Prize is sponsored by the United Arab Emirates. Steiner previously headed the World Conservation Union. The price for Kyoto Protocol carbon dioxide (CO2) emission credits has dropped from $38 to $17 per ton this year, but it is still very early in the Emissions Trading System of the European Union. Firms operating under the protocol will ultimately have to pay $50 per ton through 2007 and $125 per ton in 2008 for not meeting their emissions targets. Companies reducing emissions beyond their quota can sell credits and those exceeding their quoto must purchase credits. Polluting less has caused the price to fall. Hopefully speculation will not lead to credits being overly used instead of companies performing efficiency retrofits and innovative practices.